Congratulations on your admission to The Chicago School of Professional Psychology! Now that you have been admitted to The Chicago School of Professional Psychology (TCSPP), please follow the below links for Next Steps on your journey here as an international student. The Chicago School of Professional Psychology has partnered with Flywire to streamline the international payment process. Flywire allows you to pay securely from any country and any bank, typically in your home currency. To get started, go to http://tcspp.flywire.com to begin the payment process. If you have questions about making an international payment, visit http://flywire.com/help. Payment of your tuition deposit secures your spot in your academic program. As an international student, it is recommended that you ALSO submit the proof of funding required for issuance of your I-20 at the same time that you secure your program, if not earlier. Although submission of that financial documentation is not required for you to hold your spot (pay your deposit), students should be advised that tuition deposits are nonrefundable. For example, if you pay your deposit, but later discover you do not have sufficient funding for issuance of your I-20/DS-2019, you will not be eligible for a refund of your deposit. 2. Be confident that you will be able to secure sufficient funding required for the issuance of your I-20 before the end of June. More information on paying your deposit will be included in your admission packet. To pay your deposit, please contact your Admissions Counselor to secure your spot. Form I-20/DS-2019 is a United States Department of Homeland Security document issued by colleges and universities that provides supporting information for the issuance of a student visa (F, J and M non-immigrant statuses). The form also includes a student tracking number through the Student and Exchange Visitor Information System (SEVIS). All admitted international students must submit detailed financial statements before a Form I-20/DS-2019 can be processed. Admitted students for F-1 status must submit certified bank statements in English verifying they have sufficient funds available to finance their first year’s tuition and living expenses. For J1 students, you must show financial support for the entire length of your program. Please see the information below to determine the minimum proof of funding you will need to provide. Because some embassy officials verify students’ financial documents, students should obtain original copies of all financial documents. The cost estimate for living expenses covers only minimal essential expenditures. Expenses for clothing, recreation, and incidentals are variable, and the cost of travel outside of your city is not included. **Note - Students admitted to the United States on student visas have working restrictions. Therefore, employment while in the U.S. can not be anticipated as a means of financial support. It is very important that international students who wish to study at TCSPP come prepared to financially support the cost of their education during the entire time that they expect to remain in the United States. Financial documents showing a total balance equal to or greater than the estimated expenses for your first year of study. Please review our Financial Requirements for F-1/J-1 Students​​​​​​​​​​​​, and note the additional financial requirements for a spouse or child dependent. ​​Certificates of Deposit, Fixed Deposits, Fixed Term Certificate of Deposits, Time Deposits and Term Deposits. Savings Accounts: all forms of savings accounts will be considered, including demand deposit, current accounts and money market. When should evidence of financial support be submitted? You may wish to submit your financial documentation with your application and other materials. If so, your documents will be reviewed after you are approved for admission. Your financial documents may no longer be valid at the time of this review. If you wish to bring your spouse or child to live with you in the United States while you study, you must budget for additional living expenses, and provide proof of financial coverage in order for your campus DSO to issue you an I-20/DS-2019 for your dependent (F-2/J-2). Allow for an additional $5400 for spouse and $4300 for child. These estimates do not include the insurance plan. A dependent can be a spouse or child under the age of 21. How do I obtain an Initial I-20/DS-2019 if I am in a program that requires a low-residency in the United States? International students accepted to a program that requires a residency in the United States must confirm with their Global Enrollment Specialist in International Admissions if documentation to support an F-1 student visa to enter the United States to participate in the on-site sessions can be issued. The structure of the program is low residency and nontraditional, which means important visa and immigration implications exist for international students who enroll in the​ program. Please consult the TCSPP Low-Residency Details for International Students​. Once you receive your immigration packet, you will need to obtain an F-1/J-1 visa at a U.S. Consulate or Embassy to enter the United States. In order to obtain your F-1/J-1 visa, you will need to make an appointment at the local U.S. Consulate in your home country. The waiting time for an interview can vary, so make your appointment as soon as possible. *Note - Canadian Citizens: You must pay the SEVIS fee​​, although you do not need to apply for an F-1/J-1 visa. Canadian students are exempt from the visa requirement, although they will be considered in F-1 or J-1 status when they enter the U.S. with their I-20 or DS-2019. •	Visa fee Receipt: A MRV fee receipt to show payment of the visa application fee and a visa issuance fee (if applicable). All applicants, including dependents, must pay the MRV fee. •	SEVIS fee Receipt: After receiving your I-20/DS-2019, you will need to go online and pay the SEVIS fee I-901. You can pay this fee at https://www.fmjfee.com/. Dependents do not need to pay this fee. The information listed above is not an exhaustive list. Please always check the Department of State's website before your interview. Full-Time Students: International Students must be registered full time as required by their degree program required by Immigration Services. Please follow the curriculum arrangement from your department when registering courses. International students in F1/J1 status are NOT eligible for Reduced Load. Enrolling in additional coursework: First year students are not permitted to enroll in additional courses unless they have been awarded transfer credit for required first year courses. Your curriculum has been carefully planned, keeping in mind such issues as course sequences and prerequisites, work load and time management, requirements for practicum training, etc. Online Courses: For international students, only one Online Course (maximum 3 credits) each semester can be counted towards your degree progression. Please keep in mind when registering courses. Transfer Credits:​ Credit hours earned at another regionally accredited institution may apply to the TCSPP degree program if it meets the conditions stated in the Student Handbook. Please refer to the Acad​emic Catalog and Student Handbook Transfer Credit and Course Waiver policy for details on how to submit a packet for transfer credit/course waiver consideration. If you are not familiar with it, please consult with your Enrollment Counselor for details. PLEASE NOTE: THE PROGRAM CURRICULUM MAY UNDERGO CHANGES AND REVISIONS DURING YOUR COURSE OF STUDY. Changes will be announced by your academic program and you will be informed of any new or different requirements for degree completion. How does registration work? Registration is a first-come, first-registered system. Students may log in to the Academic Portal and register for courses during Open Registration period. You will receive notification of your registration for each semester. After all students are registered, students can drop or add a course with an open seat during the open registration period only. Please note that waiting until the end of the Open Registration period to select classes will likely mean that your course schedule will be inconvenient, and a course section of your preference may be full. There is no waitlist option for closed courses. Closed classes are closed, although there may be availability as other students add/drop. We may add more sections or cancel under-enrolled course sections, as necessary. Students will be notified via their TCSPP school email when such changes are made. Faculty may be reassigned to accommodate new courses and sections. Students typically are not notified of faculty changes unless the course is Professional Development Group. Students are encouraged to review their course schedule especially before the beginning of the semester to ensure accuracy. All students will visit the following website to complete course registration. Please note that you will need your provided username and password in order to access registration. The simplest and best registration tip we can offer is this: After your registration is complete, log out of the registration system, log back in, and print a copy of your confirmed schedule. If you registered correctly, your classes will have a status of "Registered" instead of "Selected" or "Bookmarked." By doing so, you can confirm that your requested registration was approved. You should save this c​​opy of your schedule. CANVAS: Canvas is The Chicago School's online learning management system. Students will have access to courses in Canvas the Friday before classes begin, if not sooner. Canvas can be used to post syllabi, host discussion boards, turn in assignments, and much more. To access Canvas, visit http://tcsedsystem.instructure.com. Please review the quick start guide, found at http://guides.instructure.com/m/8470 to become familiar with Canvas and how it may be used. Once you have obtained your visa (if required), you will use it with your I-20/DS-2019 and passport to enter the United States. You will also need proof of payment of the SEVIS I-901 fee. You may also need to show proof of funding as well, so it is a good idea to bring copies of these financial documents with you. Be sure that you do not pack your passport, SEVIS I-20/DS-2019, SEVIS fee receipt, or proof of funding in your checked baggage. These documents should be hand carried. 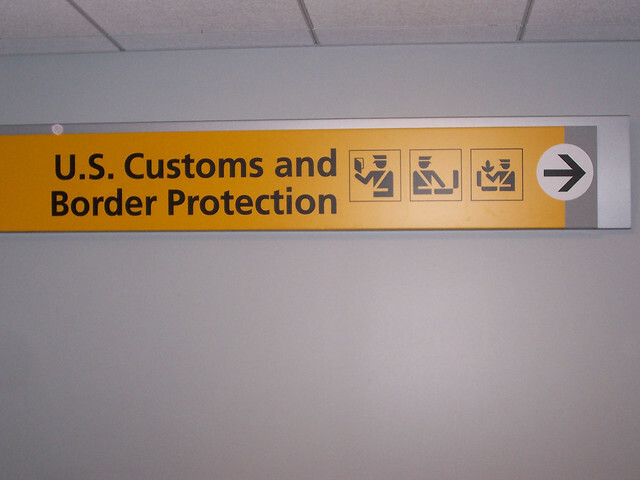 If your baggage is lost or delayed, you will be unable to present the documents at your port of entry. As a result, you may not be able to enter. **Note Be advised that you may be refused entry into the United States if you attempt to arrive more than 30 days before the program start date listed on your SEVIS I-20/DS-2019 form. If you wish to enter the country before the 30 days, you will need to do so as a tourist. However, before you begin your studies, you will need to leave the United States and reenter in F-1/J-1 status. the United States. 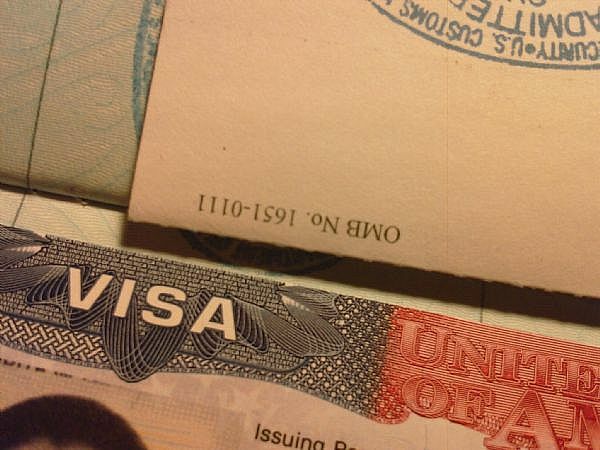 It is important to safeguard all your immigration documents at all times, especially your I-20/DS-2019 and your passport as these documents are what demonstrate your lawful entry into the United States and eligibility to study in the United States for the duration of your status as a F-1/J1 student. After you have entered the United States, ​you must log on to https://i94.cbp.dhs.gov/I94/#/home. Please follow the instruction below to retrieve the number as soon as possible from the governmental agency: U.S. Customs and Border Protection (CBP). You may need this entry information when you apply for a Social Security Number, a Driver's License, bank account, OPT Application, etc. 1. Family Name - Enter your family name as it appears in the Family Name or Surname field on your passport/I-20 or DS-2019. 2. First (Given) Name - Enter your first (given) name as it appears in the First or Given Name field on your passport/I-20/DS-2019. Do not include middle names, nicknames, or titles. 3. Birth Date - Enter the date of your birth in the DD/MM/YYYY format (e.g., March 4, 1960 is 04/03/1960). 4. Passport Number - Enter your passport number as it appears on your passport biographic page. The passport number may contain numbers and/or letters. Please closely distinguish between the two. Some commonly confused characters are the number zero (0) and letter 'O' and the number one (1), and the letter 'I'. 5. Country of Issuance - The passport country of issuance is your country of citizenship as it appears on your passport. The country of citizenship on your passport is the passport issuing authority, regardless of the country the passport was physically obtained in. 6. Most Recent Date of Entry - The most recent date of entry refers to the most recent date you entered the United States. This date can be found on the admission stamp located on your passport. 7. Class of Admission -Your class of admission can be found on the admission stamp in your passport. Class of Admission is typically two to three characters, which may contain numbers or letters (F1 or J1). Check in with the Office of International Programs and Services within 10 days of your arrival. Be sure to bring all your immigrant documents with you at that time so the Designated School Official (DSO) can make copies of all your documents and properly register you in SEVIS as required by immigration regulations. Lastly, it is essential that you attend International Student Orientation. Attendance is required of all students. Important information will be covered on how to maintain your immigration status while in the United States. The legal responsibility to adhere to all United States immigration regulations falls upon your shoulders; consequently, it is important you do not miss International Student Orientation! If you have any questions about your immigration status or the information outlined in this document, please contact your Designated School Official. 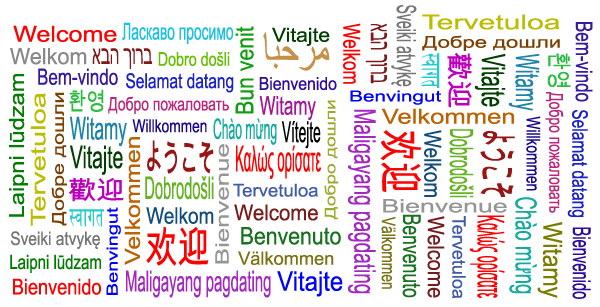 International Student Orientation is mandatory for new international students. Not only do we cover many important topics, but you will have a chance to get acquainted with campus offices, learn about the student services available to you, meet with your Designated School Official (DSO), and meet new people! Location: Room 417A Irvine Campus, 4199 Campus Drive, 4th FL, Irvine​​For more information on International Student Orientation, please contact the International Programs and Services Office at international@thechicagoschool.edu​​. ​ If you are currently in legal F-1 status and do not plan to return to your home country before beginning classes at The Chicago School of Professional Psychology, you should plan to have your SEVIS record transferred to us from your current institution. To transfer your SEVIS record, please fill out the Transfer-In form. After you fill out the form, please give it to your Designated School Official (DSO) at your current institution and request they transfer your SEVIS record. Also request that your current DSO submit the SEVIS transfer form to us to verify you are in status and eligible for transfer. Transferring your SEVIS record: When making the request at your current institution, you will need to identify a SEVIS release date. This date must not be any sooner than 5 months prior to the date you are able to start classes at TCSPP and no later than the first day of International Student Orientation (the required report date at TCSPP for international students is the first day of orientation). **Note If you are currently working on Optional Practical Training (OPT), be advised that once your SEVIS record is released, your OPT is automatically terminated and you are no long authorized to work. Why Should I Transfer My SEVIS Record? By properly transferring your SEVIS record, you are able to remain in the United States legally in F-1/J-1 status between programs (so long as you can start classes at the next program within 5 months from your release dates). Additionally, with a proper transfer I-20/DS-2019, you can enter the United States on a valid visa from your previous school. You do not need to apply for a new one. If you do not choose to transfer you SEVIS record or are otherwise ineligible (out of status), you must leave the country and reenter on an initial attendance I-20/DS-2019. Failure to do so will result in you falling out of status. In this case, you must apply for a new F-1/J-1 visa to match the I-20/DS2019 issued by TCSPP. (For more information about how to apply for an F-1/J-1 visa, see the above section - Apply for a U.S. Visa. You will also need to pay the SEVIS I-901 fee again since you are receiving a new SEVIS record. Additionally, your F-1/J-1 status is reset and you are again subject to the required waiting period for certain benefits such as Curriculum Practical Training (CPT) and Optional Practical Training (OPT). It is important, therefore, for you to clearly communicate your intentions to International Programs and Services at TCSPP. Your Chicago School I-20/DS-2019 will be issued to you when your SEVIS record is released and you have reported to the Office of International Student Services. Please keep in mind that you are still required to provide the Financial Statement before we can issue your new I-20/DS-2019. If you need your I-20/DS-2019 prior to the start of classes (e.g. if you plan to travel internationally before you begin your studies), please contact your DSO at your campus. It is pertinent that you check in to the Office of International Programs and Services at International Student Orientation or before classes begin. If you are unable to do so, you should contact your DSO. Lastly, it is essential that you attend the international student orientation. Attendance is required of all international​ students, including transfer students. Staff will address immigration regulations, school policies and procedures and cultural adjustment issues.